January 23, 2011 - With today's web site update, we now have over 1300 Key shipmates listed on the Crew List. We welcome all formers Key shipmates to fill out the muster form found at the top of the Crew List file. We only add crew members who request to be listed. "Jennifer Roberts, my wife of thirty years died suddenly December 12, 2010. She never received her dolphins, but she truly earned them through my 6 patrols and the Newport News overhaul aboard the Key. Many a night she was woken up by myself and half of the Engineering swing shift after we had closed the bars outside the shipyard. She would get up, fix us breakfast and never complain. She was a Navy Wife and supported me and our children all the years of our marriage. It meant so much to me when several of my shipmates (Alan Coleman, Dean Cornwell, Tom Christianson, Roger Fogt, Jeff Mason and Tom Shaull) came to the funeral. It is at times like this we learn the meaning of the term “shipmate”. MM-1(SS) Mike Roberts - SSBN-657B - 1980 - 1987"
We all send Mike and his family our deepest sympathies. February 2011 - New Key shipmates added in February 2011. Kersten, Glenn 74 - 77; Bevard, Glenn 78 - 81; Bollinger, Tim 88 - 89; Lockett, Tom ?? ; Harmon, Dale 89 - 92; Crabtree, Greg 86 - 87. Check Crew List for details. February 18, 2011 - It's been a while since I have received any new pictures for the site. I know there are lots of them still out there so dig them out and send them in for all the guys to enjoy and remember. February 1, 2011 - If anyone has filled out a muster form but does not see their name on the Crew List after 2 weeks, please resend or drop me an e-mail. I do not want to miss anyone who wants to be on the Crew List. March 15, 2011 - Received notice from Jeff Richardson of the passing in 2001 of Lt Donald Tulodieski Sr. of the Gold crew. He served around 1969 - 1971 time period. His obituary is in the Eternal Patrol area. We thank Jeff for letting us know of Don's passing. Rest in peace Don. Job well done. March 2, 2011 - The next reunion of the Key will held in Charleston, SC in either April or May of 2012. If you live in the Charleston area and have any suggestions as to where to hold the event and interesting sites to visit, please send your ideas to Al Singleman at al@ssbn657.com. April 2011 - New Key shipmates added in April 2011. Brookins, Al 79 - 81; Weir, Timothy 90 - Decom; Charles "Ed" Harrison 90 - 93. Check Crew List for details. April 13, 2011 - I just added Ed Harrison to the crew list and I noticed that he was the 1313 shipmate to sign on. Then I noticed that today's date is the 13th. I'm going to go buy a lottery ticket kick a black cat and break a mirror. 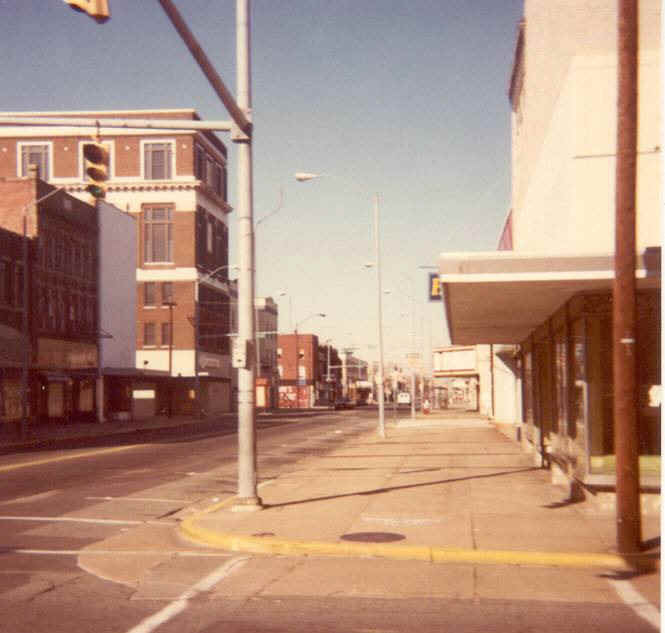 April 1, 2011 - Scroll down the page to see the photos Jeff Buss sent in that show the changes in Newport News from 1983 to 2010. Key Images - a picture is selected from the Key photo area and featured here. Jeff Buss sent in these pictures of Newport News. The set of pictures on the left were taken during the 2010 Key Reunion held in Norfolk. 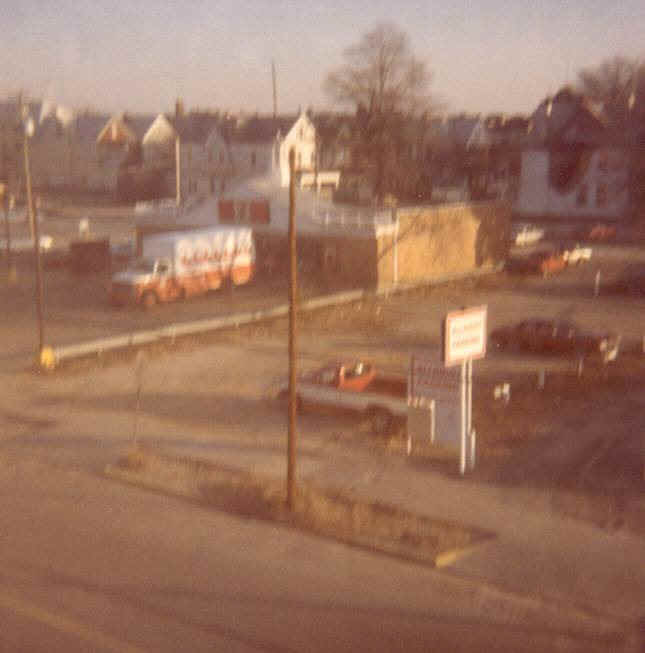 The pictures on the right were taken by Jeff during the Key's second overhaul in Newport News in 1983. He tried to take the pictures at the same spot. You can really see the improvements. Jeff also provided a description of each set of photos. It is printed just below each set. These should bring back some memories for all you guys that suffered through that long, long overhaul. Our thanks to Jeff for taking the time to put this together for us. 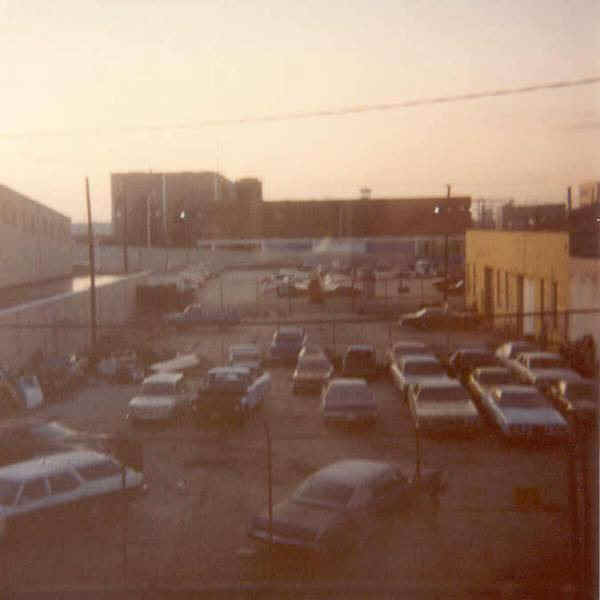 The 1983 photo was taken from the ship’s office in Building 606, which was a number of floors off the ground. The 2010 photo was obviously at ground level. This was easily the most telling photo of the bunch. This was taken from pretty close to the exact same location. Can you see what remains? One building. 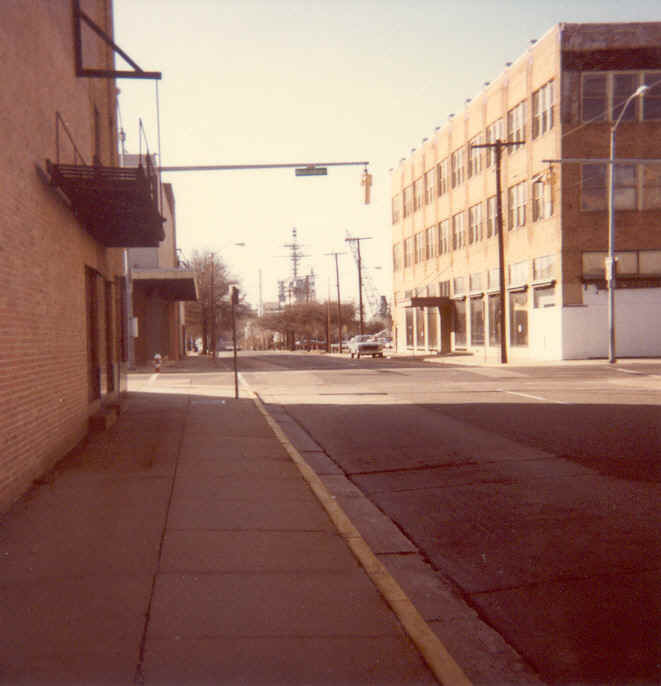 Also it appears the stoplight is still the exact same one, still working 27 years later, and the telephone poleon the right. 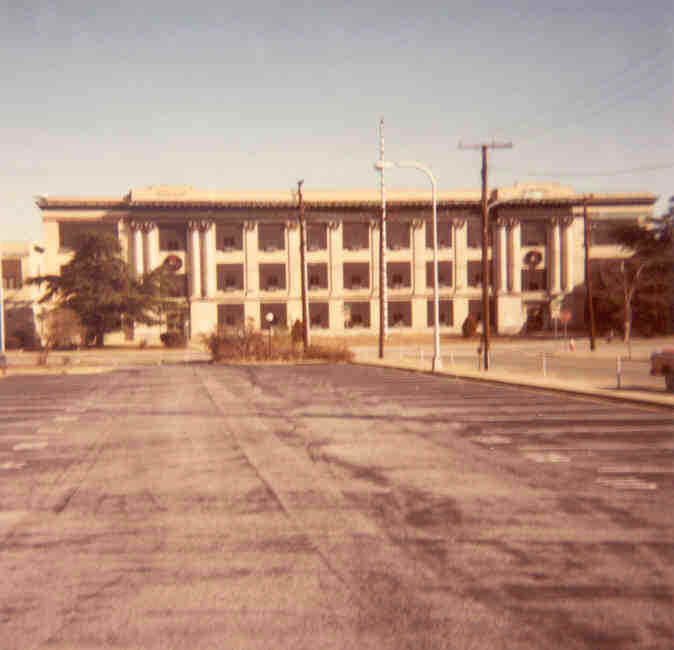 Here is Huntington Hall, picture taken from a block away in 1983. The same vantagepoint in 2010 shows Navy housing in the foreground. If you look dead center in the 2010 photo, you can make out the flagpole and just a little bit of Huntington Hall. The two sets of photos below on the right were from my 2nd floor room in Huntington Hall and give a panoramic view of what I had to look at then. The left side photo is from 2010 taken from street level and shows the big changes. May 2011 - New Key shipmates added in May 2011. Anderson, Todd - Active Duty 88 - 91; Betts, Tom 72 - 74; Brower, Chris 77 - 79; Oelkers, Wally 82 - 86; Robertson, Anthony 86 - 89; Shockley, Steven 78 - 81; Johnson, Ed 68 - 69; Bonfiglio, James 79 - 82. Check Crew List for details. May 10, 2011 - Received notice of the passing of John W. Farren who served on the Key from 1969 to 1974 Blue Crew E-Div. John passed away on May 9th. Our deepest sympathies go out to John's family from all of his former ship mates. John's obituary can be found in Eternal Patrol. Rest your oar John - Job well done. May 9, 2011 - I just received notice of the passing of former Key commanding officer James Forsyth - Gold Crew 69 - 72. Captain Forsyth passed away on May 7th, 2011. You can read his obituary in Eternal Patrol. Our deepest sympathies go out to his family and friends. June 21, 2011 - Just received notice of the passing of Chief Ken Taylor, Blue Crew Plank Owner MM 65 - 71, on June 11, 2011. Our deepest sympathies go out to Ken's family. Read more about Ken in Eternal Patrol. July 2011 - New Key shipmates added in July 2011. Lee, Stephen 80 - 81; Howard, Gary W 79 - 82; Palmer, Mark 87 - 91; Enrique, Carlos 85 - 87. Check Crew List for details. Some of you probably aren't aware that Jim has been pretty successfully fighting kidney cancer for a few years now. When I visited him last march I found it evident that he had failed some since I saw him in San Diego in 2009. Yet he was resolute and in pretty good spirits. July 26, 2011 - Just received the following message regarding the passing of Chip Cronham, Gold Crew Weapons Div 74 - 81. Our deepest sympathies go out to this family. friends and shipmates. Read more in Eternal Patrol. August 2011 - New Key shipmates added in August 2011. Smith, Clifford 74 - 76; Kenner, Dexter 89 - 92; Murphy, Michael 72 - 73. Check Crew List for details. 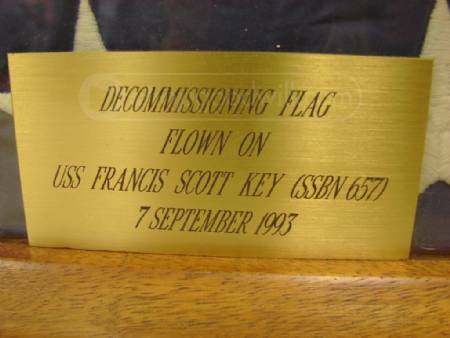 August 22, 2011 - A couple of days ago, I received an e-mail telling me that the decommissioning flag of the Key was up for sale at a Good Will web site in Orlando, FL. Well, after two days of bidding, the flag has come home to the Key family. Our thanks to Ken McCracken and Gary Walters for bidding to save the flag for us all. 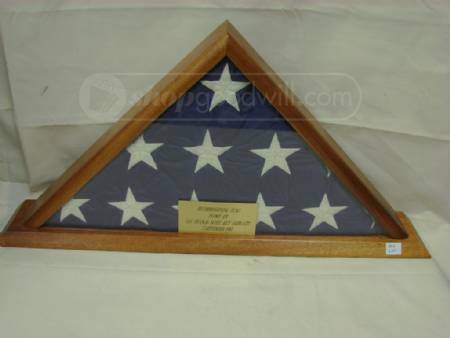 The Key Reunion Committee is paying for the purchase of the flag and it should be on display at the next reunion in Charleston in 2012. How the flag got to Orlando must be a good sea story so anyone with any knowledge, please e-mail. The decommissioning flag now joins the commissioning pennant and the last Jack flag in the possession of the crew of the Key. August 14, 2011 - It has been quite some time since I have received any photos, sea stories, qual cards etc. All I get these days are death notices. Makes the job kind of depressing, so get of your lazy a$$es and send in some Key memories - photos - stories - anything about your days on the Key. September 2011 - New Key shipmates added in September 2011. Cheever, James 90 - 94; McBurney, Mike 72 - 75; Bragg, John 74 - 77. Check Crew List for details. 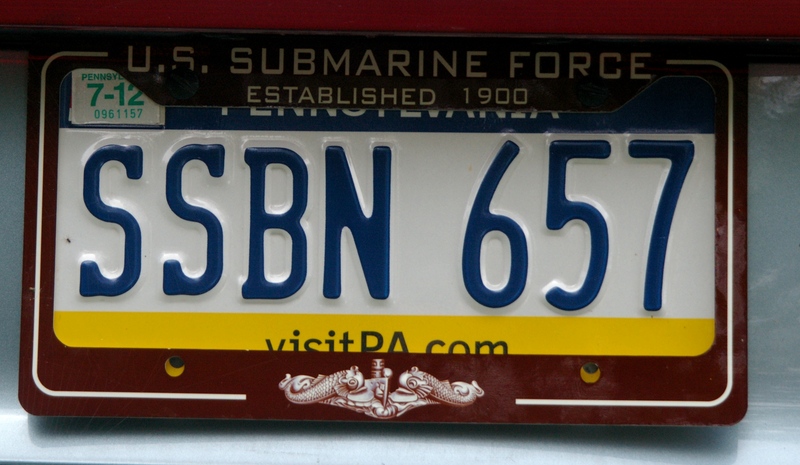 September 12, 2011 - received another Key license plate. This one from Steve Aumen 72 - 74 gold crew. Keep them coming in. Let's try to get the Key plate in every state where it is possible. September 5, 2011 - Received a message from Priece Rich, radioman 72 - 75 Gold crew. Priece had a medical scare recently and wants to give some advice to his shipmates. Read his advice in Deck Log. October 2011 - New Key shipmates added in October 2011. 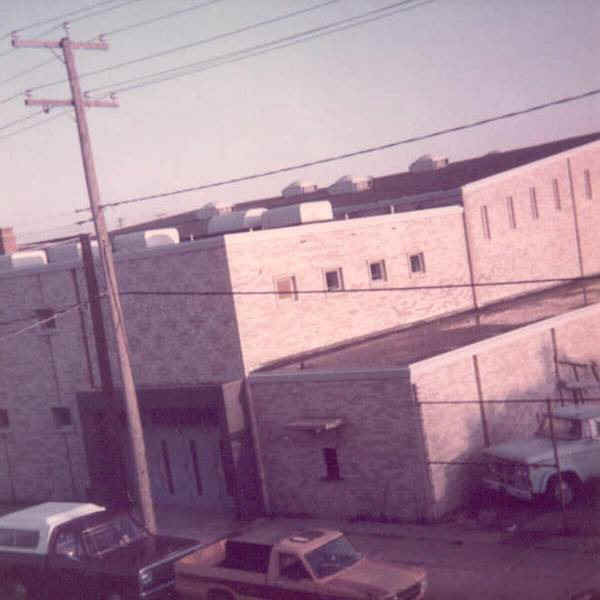 Strong, Jody 88 - 91; Francis, John 91 - 93; Bottemiller, Drew 74 - 78; Scribner, Jay 79 - 86;LeFebre, George 69 - 74; Kenney, Jim 70 - 71; Griffith, Troy 86 - 89; Decker, James 85 - 88; Alexander, Mark 71 - 74. Check Crew List for details. October 27, 2011 - Just learned of the passing in 2010 of blue crew NevET chief CJ Weeks. He was on the Key around 1970 as that was when he signed my qual card. I will have more details soon and I will then add him to the Eternal Patrol area. November 2011 - New Key shipmates added in November 2011. Somma, Richard 1971; Davis, Roger 84 - 88. Check Crew List for details. November 29, 2011 - Just received notice of the passing in September 2011 of Thomas Springsteen, Gold Crew Storekeeper 69 - 72. Tom's obituary can be read in Eternal Patrol. Our deepest sympathies go out to Tom's family and friends. Rest in peace shipmate. Attached is the information for the next Francis Scott Key 2012 Reunion. It is going to be in Mt. Pleasant ( Charleston ), SC from May 9th-13, 2012. Discounted rates for rooms are available for a few nights before and after these dates. If you have any inclination that you might attend, please reserve a motel room NOW!! There is no cost to you if you cancel out. May is the start of their busiest time of the year for vacations and rooms will go fast. I have 25 rooms blocked for us at the moment; as soon as we fill this slot, they will give us more rooms; however, if you wait until the last minute, there may not be any rooms available to us. Removing rooms won't be a problem, but if there aren't any left, you may have to stay elsewhere at a much higher rate. The Quality Inn & Suites is the host hotel; I also have rooms blocked at the Sleep Inn ( just less than 1 mile away ) for those bringing a pet or those who want to pay a little less for their room. I am trying something different this year - our Saturday's. banquet will be a dinner cruise. A short description of the cruise is on the registration form. For more info on it go to www.spiritlinecruises.com and click on dinner cruise. I currently have 100 places saved - I can decrease this amount up to 2 weeks before our cruise. However, if we need more than this, I may not be able to add them after Jan. 2012. Therefore, Please email or call me to let me know if you are possibly planning to come to the reunion. I have a lot planned for Friday & Saturday and I'm sure you will all have a great time. I heard on the Today Show that Charleston, SC was voted the number one vacation destination this year. Hope to see many old friends and a make a lot of new ones. If you have any questions, please email diane@ssbn657.com or call me at 518-355-2119. Looking forward to a great reunion again. Please send me a reply to let me know if you are planning to attend. November 7, 2001 - Received from USSVI Groton Base, the news of the passing of Donald E. Mueller TM Gold Crew 80 - 86 on October 21, 2011. Our deepest sympathies go out to Don's family and friends. Rest your oar Don, job well done. Read his obituary in Eternal Patrol. November 7, 2011 - Updated Reunion 2012 information as well as the necessary Registration form is now available by clicking Reunion 2012. See you in Charleston! December 2011 - New Key shipmates added in December 2011. Pietras, Chris 83 - 85 Active Duty; Merion, Michael 87 - 93 Active Duty; Andrus, Dave 70 - 71. Check Crew List for details. December 10, 2011 - While searching www.legacy.com, I came across the death notices for Clifford B Garlamd an ET, Willian J Donaldson, probably an officer, and David J MacKool - that served on the Key. Anyone who knew Clifford, William or David please e-mail me with any details such as when and what crew he served on. Their obituaries are in Eternal Patrol. Rest in peace shipmates. I'm sad to report that our shipmate Jim Bowen departed on eternal patrol on 9 October. I have been trying to contact him for a phone visit and an update on his health for the past few weeks. Having no success I searched the obituaries of the Augusta Chronicle and learned of his passing. 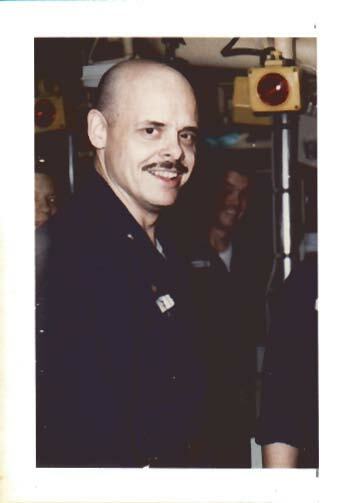 Jim was a close shipmate and a good friend. We kept in close contact over these past few years attending reunions, conventions and visiting each others homes. I enjoyed a few days visit with him and his Grandson Tyler just this past March. As usual he was optimistic, good natured and determined to stand his watch for as long as possible. Jim's obituary can be read in Eternal Patrol. Our sympathies go out to Jim's family. Rest in peace shipmate.